Takahashi FSQ-106ED @ f/5.0 (530 mm F.L.) Captured at 2.1 arcsec/pixel. The Zoomify image scale is 4.2 to 7.44 arcsec / pixel. 11/13/2012 to 1/5/2013 Chino Valley, AZ... with CCDAutoPilot5 & CCDSoft. Off-axis guided. Click here for the color-mapped narrow band images. eXcalibrator v3.1 for (b-v), (v-r) color balancing, using 78 stars from the NOMAD database. 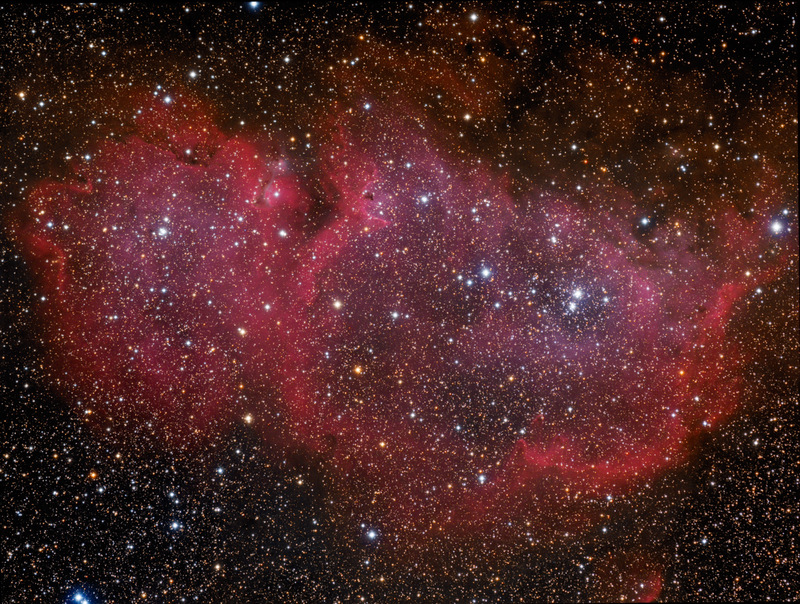 The soul nebula, (sh2-199, LBN 667) is an emission nebula in the constellation Cassiopeia. The nebula is about 6000 light-years from Earth.